The blog may get a little frenetic these last couple days. My mind is racing and I just need to let it relax. Honestly I am in the best place I could possibly be at this point! I swam this morning and it went well. My shoulder is sore like it was early in training. I will take Aleeve this week to see if that helps. It gets better with more swimming so that is a good thing! The last set in my workout out was 5 X 200 at race pace. I want to swim a 1:05 in the race; which works out to a 1:32/100 yard average pace. Tough, but not impossible. So below were my splits from the set. Just a little shy of the magic 1:32 pace. I am hoping that the wetsuit and excitement helps get me there. I had a nice chat with Jordan Rapp this morning. He is a professional triathlete that lives near by and because of that I keep seeing him when I am training. We swim at the same pool, run the same roads, and this weekend we even biked the same routes. He will be racing Arizona as well. Of course he will finish a little bit before me… you know, about 4 hours earlier… He is a super nice guy and I am pulling for him to win! Also, I asked him to stop by the finish and cheer me on after his race 🙂 He said he is usually eating by 12:00 hours but if I hit the 11:30, like my coach is predicting, he might be there. A little more motivation never hurts! 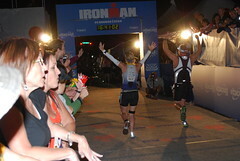 ← Week 16 of 17 Ironman Arizona Training Recap – The barn is full! Watching and cheering from Wintery Canada. Have a great race!!!! Thanks!!! It helps on race day! 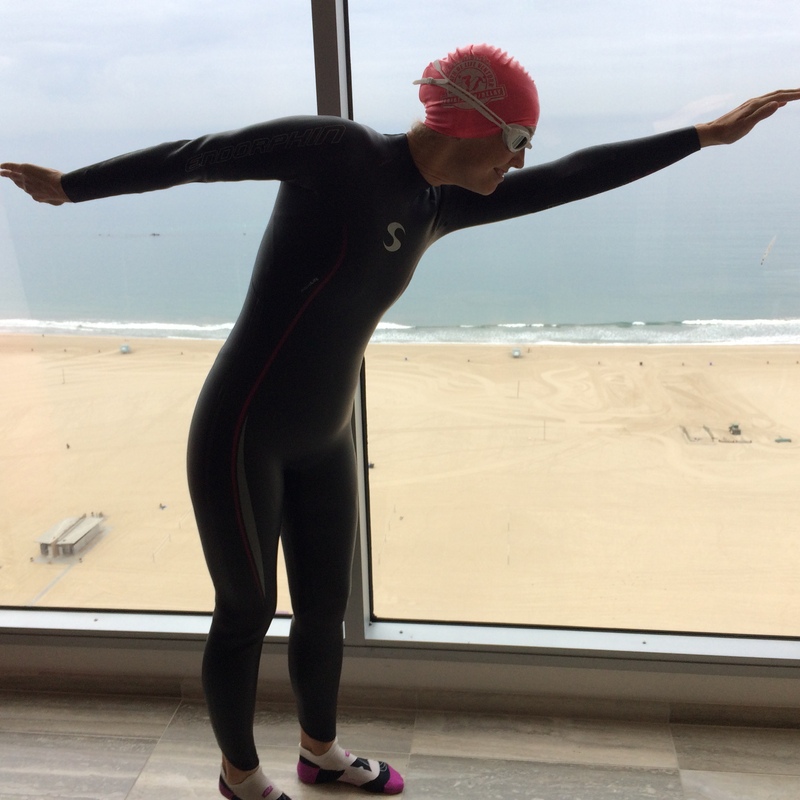 I think wetsuit and excitement will definitely carry you to your swim goal!! Best of luck! My brother is doing IMAZ too. 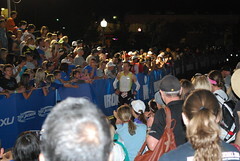 Have enjoyed reading your blog as I’m new to the tri scene. You got this, as the kids say. Breathe, close your eyes, breathe and just see the finish line. See the swim, see the bike, see the run, see the finish. And, send us info on how to follow!